On Sale Now! 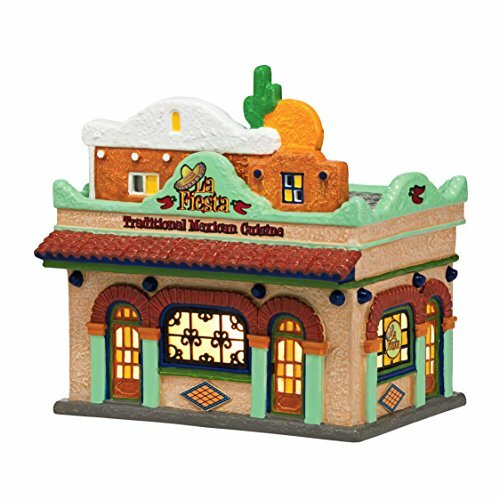 Save 6% on the Department 56 Snow Village La Fiesta Restaurante Lit House, 7.48 inch by Department 56 at Two Clock. MPN: 4036561. Hurry! Limited time offer. Offer valid only while supplies last. With the growing popularity of Mexican cuisine, this quaint little restaurant is just thyme you'd visit to get true, authentic Mexican food. Ole! With the growing popularity of Mexican cuisine, this quaint little restaurant is just thyme you'd visit to get true, authentic Mexican food. Ole! department 56 knows the importance of celebrating the holidays with family and friends. Savor your time together and make it extra special with department 56.